Q: How to register the program? A:You will receive an email with your Register Name and Register Code from system after purchase，then you can download the program and install it. 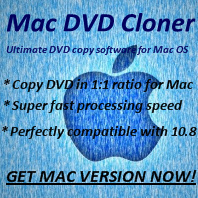 Many programs, such as Any DVD Cloner Platinum Windows version, you can click the key icon on upper right of the program interface, and then input your Register Name and Register Code in the popup window to register. For Mac version, you can click the program name on the left-top of menu and click “Registration” to registe.